Class Description: Tots play and learn with their parents in a structured, coach-led class. They learn the basics of physical literacy, and develop coordination, balance and confidence by exploring risk and limits in a safe environment. Class Description: As children become more independent, their social and physical skills become more heightened. With a focus on fun, fitness and fundamentals, more complex movement patterns will be introduced. Class Description: Independent 3's move into the gym for the first time without mom or dad! Through circuits and play, they build their motor skills, strength and coordination: swinging, landing, rolling and climbing. Class Description: An all-round gymnastics class that's fun and a great way to complete your weekly structured physical activity! Explore the equipment with a coach, and learn the proper way to warm up, stretch, and condition for any sport! Class Description: Great for developing confidence and physical fitness. Designed to help develop coordination, flexibility and strength that is helpful in active lifestyles and a variety of other sports. Class Description: This class gives teen the opportunity to freely explore gymnastics based activities such as parkour, acrobatics and trampoline. Fundamentals of movement and safe landing skills will be emphasized. Class Description: Learn the basics of round-offs and cartwheels, then progress to more advanced skills such as back handsprings and walkovers using the trampoline and floor stations to learn. Class Description: Our 4's focus on fun and fitness and continue to develop the physical literacy skills that are at the core of all sports: hanging, swinging, balancing, kicking, catching, and jumping. Class Description: Do you have a dancing gymnast in the house? This class consists of an hour of gymnastics plus 15 minutes of learning a basic choreographed dance routine that will be performed on the last day of class. Class Description: Do you have a dancing gymnast in the house? 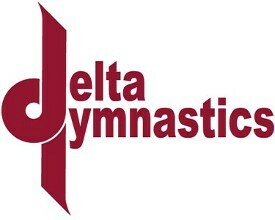 This class teaches the fundamentals of gymnastics, plus basic leaps, turns and dance combinations. Class Description: Children in Kindergarten and Grade 1 get a chance to stretch and tumble while learning some basic gymnastics skills. This co-ed class prepares them for the structure of the Fundamental program. Class Description: Trampoline teaches coordination, control and air awareness. It develops strength and balance. That's why it's an integral part of training for many sports like freestyle skiing and boarding! Class Description: This 30 minute class is great introduction for both babies and parents to physical literacy through gymnastics. Class Description: Want to get in shape the way some of the world's best athletes do? Come out and train in this cutting-edge, integrated strength class! Train the weak links in your body - the emphasis is on technique and core strength. Drop-in price is $10/class. Class Description: This class focuses on landing and safety rolls to develop obstacle running, as seen in Parkour or Ninja Warrior. . Please contact the office for more information. Class Description: This class focuses on landing and safety rolls to develop obstacle running, as seen in Parkour or Ninja Warrior. Please contact the office for more information. Class Description: This class will build your gymnastic ability in a safe, progressive way, teaching you how to land properly, balance and support yourself, and increase your strength.